Nowadays days to increase blog page views and make your best posts to be known by your viewers it has been important to add “Popular Post Widget”. The widget provided by Blogger is very Boring and it is not capable for attracting your Blog viewers. 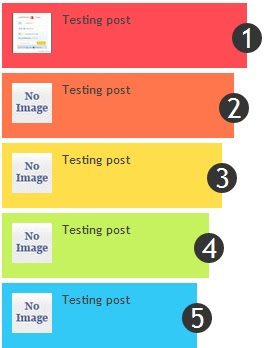 So now I would like to give you a attractive and colorful Popular Post Widget which gives a Highlight to you Blogs Popular Posts and helps you a lot to attain more views for your blog. 2) Please Create a backup of template before adding the widget. * Simple as that . Now save your template.